The Powerheart G5 is the first AED to combine real-time CPR feedback, fully automatic shock delivery, variable escalating energy and fast shock times. First time users are able to perform each critical step through the help of feedback via voice and text prompts, as well as real time instructions. The Powerheart G5 has rescue ready technology, which self-checks all main AED components (battery, hardware, software and pads) daily, weekly and monthly. The G5 is smaller and lighter than previous Powerhearts, as well as having a dual language setting (you can have any 2 languages registered at one time). This Powerheart defibrillator also comes with a CPR devise, which is a circular unit that you place on the patients chest and administer CPR whilst listening to the instructions given by the machine. This CPR devise helps a rescuer give cardiopulmonary resuscitation (CPR) that is consistent with 2010 Resuscitation Guidelines, so even first-time rescuers can deliver life-saving CPR. 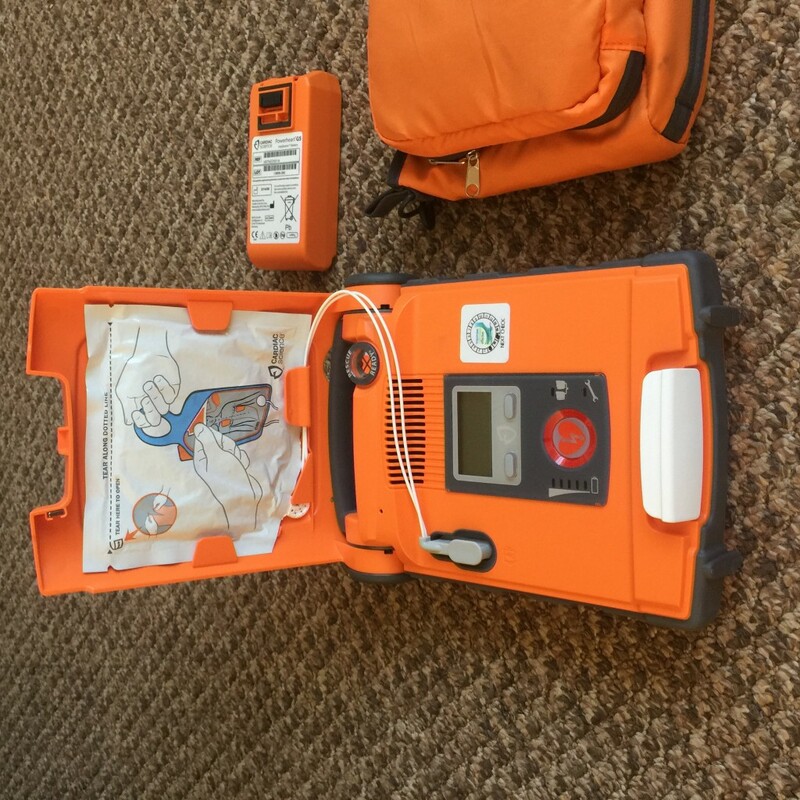 The CPR devise comes pre-attached to the Adult defibrillation pads to save critical time in a rescue.